Growing a bonsai tree or plant requires effort, attention, proper care and skill to come up with a great appearance and bonsai style. The hard work put into growing it makes it a prized possession. In this article we will cover bonsai tree care in South Africa. Feeding your tree is extremely important and people often forget this step and leave their bonsais outside. The problem with doing that is that the tree has a limited amount of soil in the pot. The nutrients in the soil dont last very long. With every watering you flush more of the nutrients out of the small pot. Make sure you top up the soil with some decent plant food. Check which bonsais species preform well indoors and which ones do better outdoors. You can always go down to your local bonsai nursery in South Africa. They will have a range of trees that are good for your local climate. Nursery’s also stock most of the bonsai tools, different pots, soil, nutrients and pretty much all things bonsai. So its definitely worth the trip. If you are still an amateur in this Japanese horticulture, you should choose the specie of tree that is adaptable to your location. This is because you have to provide for the specific needs of a tree. Bonsai is no different to the full grown counterpart. For example, if you live in a very cold climatic region you wouldn’t want to choose a bonsai specie that thrives in full day sun and prefers humid and warm climates. Obviously the tree wont last very long. Pick your tree carefully. The choice of a bonsai pot in South Africa is an important step when learning how to care for a bonsai tree. Usually the bonsai is planted in a bonsai pot big enough to promote new growth. There should be holes on the bottom of the pot. There is a given purpose for this, the excess water can be drained out of the holes. This will stop the water from accumulating in the bottom of the pot and drowning the bonsai root system. There are many bonsai shops in South Africa that you could visit to check out their range of bonsai pots for sale. Below is an example of some of the bonsai pots for sale in South Africa. You have to transfer or repot your bonsai annually in order to promote new growth and keep the soil suitable for the start of the spring season. The size of the bonsai gets bigger as you continue the bonsai tree care for it so you will need to repot your bonsai into a bigger pot to give it adequate space to grow and develop. Like any other plant, your bonsai has necessities. It needs water, sunlight and fertilizer as mentioned before. Trees have different water requirements. Depending on the type of tree, the bonsai will need more water which you have to make sure it gets enough of. You should ensure that the soil is always moist and not constantly dry. However, you should not also over-water your bonsai plant. Otherwise you will harm the non-fully developed bonsai roots. You are over-watering when you see the leaves are wilting and turning yellowish. An over supply of water for the bonsai can lead to root rot. This is the third part of learning how to care for a bonsai tree. The fertilizer is a plant nutrient which you should not forget to feed the plant with. This is their nutrients and food. Every bonsai tree needs sunlight. Bonsai need to manufacture their foods and they require sunlight for photosynthesis or plant food manufacturing. The video above gives a good explanation on bonsai tree pruning. Which pertains to the handling of the actual tree. There is a right way to repot, prune and trim the growing bonsai. You repot it annually and as you do it, cut some parts of the roots. This will prevent excessive growth of the plant so that it does not grow too tall. You should never use ordinary scissors when bonsai tree pruning. Invest in special trimming tools designed for use with bonsai trees. You have a tool for cutting leaves and you have another tool for shaping the tree and one other for tweaking the branches. 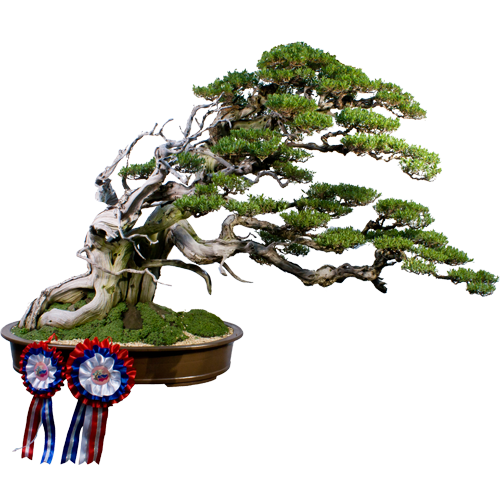 You now realize that there is so much to learn when it comes to bonsai tree care in South Africa. If you will follow these tips, you will succeed in creating different bonsai from different species of tree. Success will lead to a garden of prized bonsai trees.